If you do not already have a mission statement in place with your franchisor, the first thing you will need to do is establish one. The point of this is to state your goals, the services your childcare center will provide as well as the quality standards that you will adhere to. You want to not only hang this in the building but put it on your website so that people can see what to expect from your facility. To start with, ask yourself what you want to achieve with your childcare center. Is your goal to have the highest profit margin with the business or do you want to provide high quality care and education for the children? Is your goal to make the lives for parents easier and more convenient? The goals that you have should line up with the services that you offer. For instance, if you want to make lives easier for parents you may offer flexible hours that are later or earlier than other daycare franchises in your area. For each service that you provide, make sure that there is a clear goal for what it will provide. This is the best way to ensure that you are not providing services that add no real value to your childcare center. You should also know what it will take to make these goals attainable for your daycare franchise. For instance, if you plan to offer extended hours, then you should know how many children will need to be there on these hours just to break even with the staffing costs. This can also help you plan for future goals of expanding services and creating attainable goals. Establishing financial goals is harder to set for your childcare center. Part of this is that as a new franchise your daycare will be in the red for a while while you establish it. This is why you need to set realistic goals for each year rather than each month. Remember that there can be slow months and great months which is why looking at the financials over the year will give you a better understanding of where you are heading and allow you to create appropriate goals. Another thing to keep in mind with your financial goals is that they are not only for the revenue that you obtain throughout the year, but also for your spending. You need to establish a budget and keep with it, which will require continual monitoring. If you find that you are not making your budget on certain aspects, then take the time to evaluate why. You may need to play with the numbers or come up with creative solutions to make everything work the way it should in your childcare center. Remember that an economic slump can have an impact on child care as well. Parents may lose their job and have to pull their child from your program. They may have their hours cut and may have to go to part time daycare. This is why you will need to plan for economic slides. When you have this backup plan in place you will be able to have at least some cushion in the event that this happens to your childcare center. Goals are an integral part of any business plan. However, goals without a plan of action are pointless. 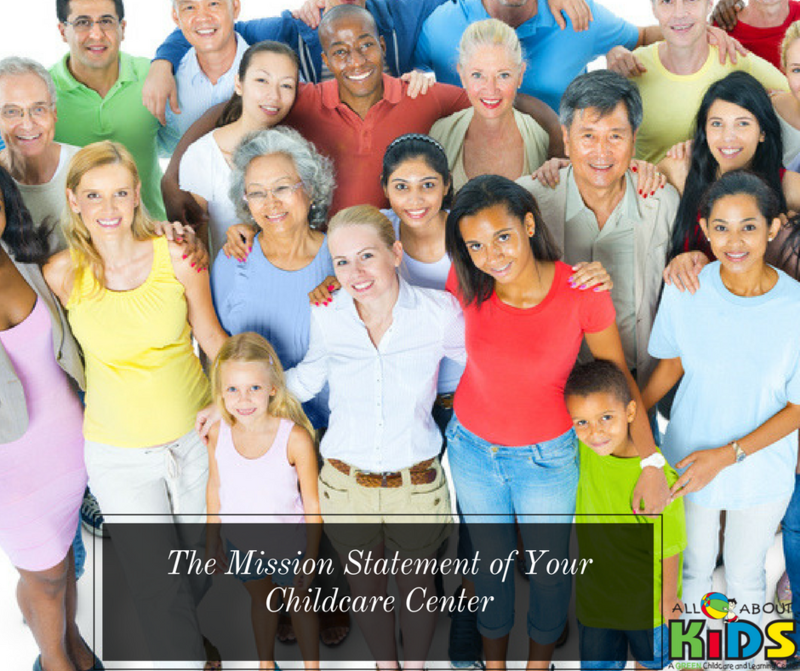 This is where objectives come in as they are the steps you will take to making your childcare center goals a reality. When creating the objectives, the first thing you will want to do is look at the individual goals. Think about the best strategies for achieving this goal. If you are not sure, then look for outside help. You may find that your franchisor can help you with this as they want you to be successful. You may also find that a business coach can help give you a better idea of what to add to this list. An example of how to craft objectives comes with the goal of increasing attendance in your childcare center. You will want to think of the best methods for doing this. Obviously marketing is the way to do this. You may also want to hire staff with better qualifications, offer additional programs, such as teaching children sign language, to attract more parents. You want to make each individual aspect its own objective so you can assess how you are doing with the efforts throughout the year. Keep in mind that there may be some overlap here, which is normal and not to be concerned with.